Okay. this is just gonna be a simple post. 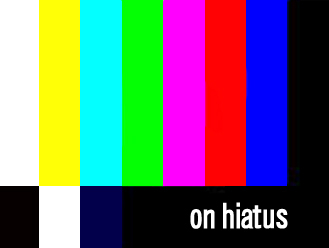 My blog is on hiatus. huhu. – My laptop is broken. Some hardware in the CPU is broken. Can’t even start it up. Damn. Damn. Damn. I’m screwed. Another month without laptop is gonna be hard. ARGH!!! Nevermind, it gives me more chance to study. Hehe. Yay! So, this may indicate that I won’t be updating this blog as much. Maybe in the CALL Lab or using Syahmi’s or Jimi’s laptop, but I doubt I can write long post using their laptops. Argh!!!! Ish. Whatever la. Anyway, I’ll be updating soon(or later) about my test 2. Ciao peeps. ← Pix… Gonna be updated soon with captions..